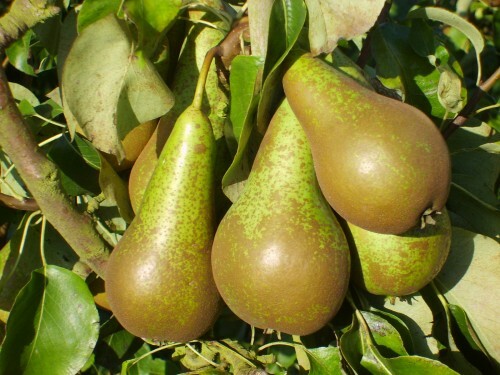 Conference is a slender green "bottle-shaped" pear "with a belly" and with a soft, sweet flavour. Very juicy light orange coloured flesh. 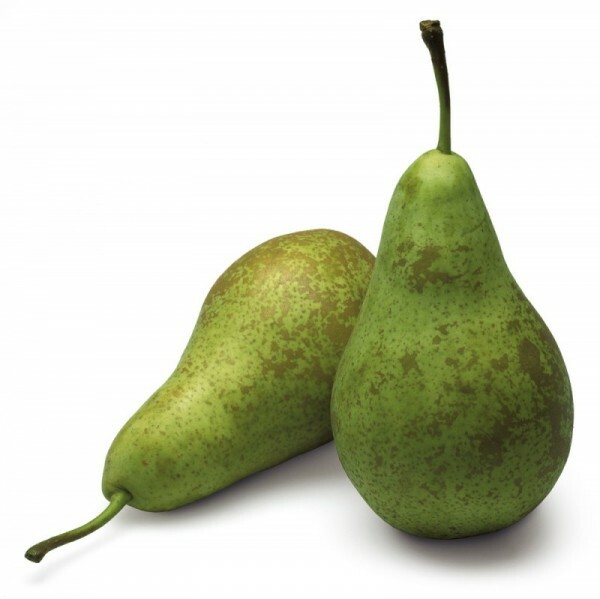 An excellent eating pear. Also suitable for processing into juice especially mixed with apple juice.